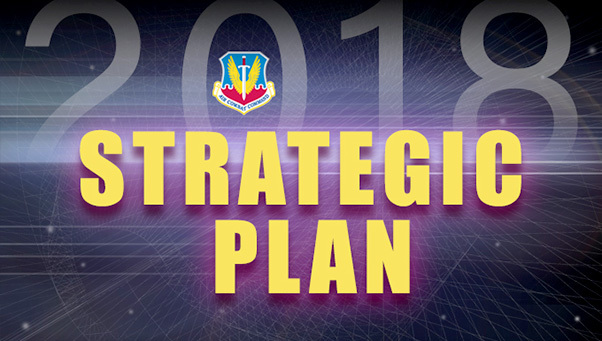 Gen. Mike Holmes, commander of Air Combat Command, released ACC’s 2018 Strategic Plan on Sept. 10, 2018. According to the document, the goals and priorities it outlines will ensure ACC continues to deliver combat-ready Airmen to exploit and control air, space and cyberspace. The strategy is based around Holmes’ three priorities: revitalizing squadron readiness, developing leaders and bringing the future faster. “Our efforts in support of these three priorities will make sure our deployed and deployed-in-place forces are ready to fight and decisively win against any adversary in any scenarios across the spectrum of conflict,” Holmes said. A copy of the 2018 ACC Strategic Plan is available at ACC Strategic Plan.